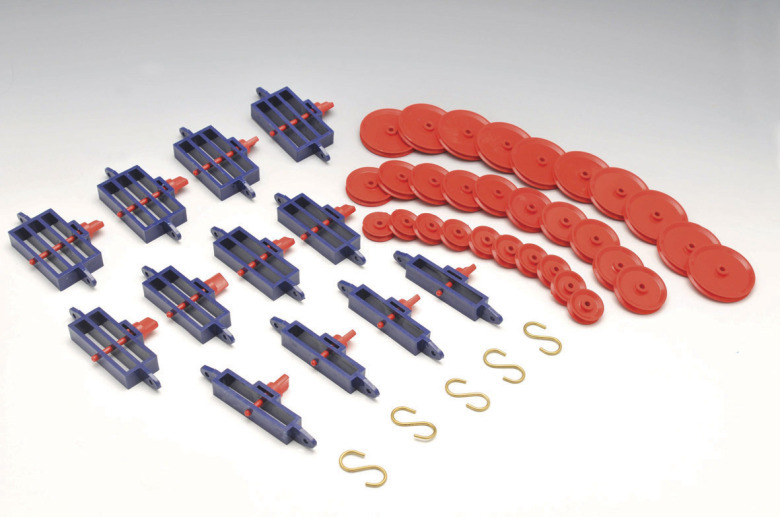 A set of components from which pulley blocks of many different configurations may be made. This versatile set is an economical alternative to using separate pulleys. 15 plastic pulley frames; 5 each of single, double and triple sheaves - each provided with a removable bearing pin and a pair of hooks; 30 plastic plain bearing pulleys - 10 pulley wheels each of 25, 38 & 50mm dia.